As we enter a new year, the cruise industry has never been healthier. Order books are bulging, with yards full of ships under construction. There are even new cruise lines sprouting up, and river operators are moving into ocean voyages. Across the world, new routes are being offered to passengers wishing to experience the joy of visiting a different place each day while travelling in the lap of luxury. The choice has never been so extensive − or so bewildering. 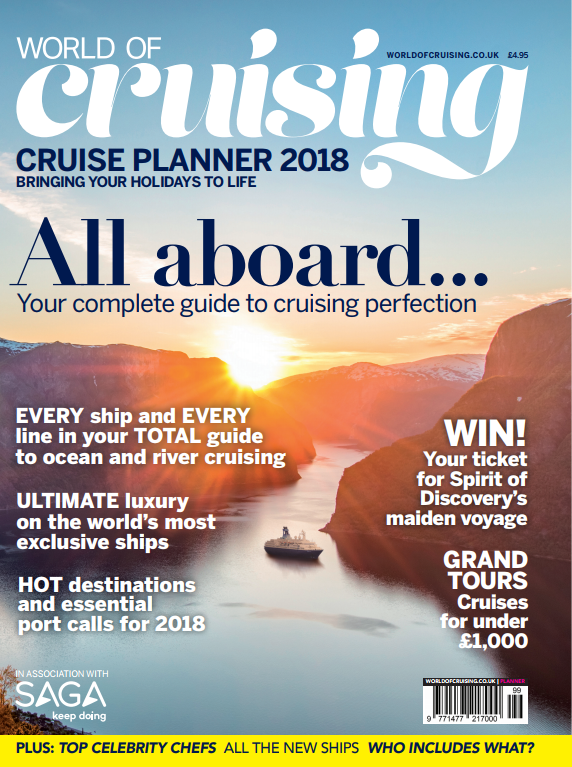 Building on the magnificent work done by World of Cruising’s late Editor at Large John Honeywell, our experts have researched every line and every ship, updated the increasing list of future orders and chosen their favourite destinations, the most opulent vessels and the finest celebrity chefs. Plus we look at the wonderful new ships about to appear in our ports. This is a guide to treasure all year as you dream of your next voyage by sea or river. From barges carrying eight people to the largest ships afloat, carrying thousands, you’ll find them all here. Classic to modern, bargain break to blow-the-budget, every option is covered. Each cruise line has its own identity and its own story. Perhaps you’ll find a new favourite, or learn more about the one you already love? Either way, we hope you find the Cruise Planner informative and invaluable, and that researching your cruise is almost as much fun as taking it. Bon voyage!